I read with great interest last week the uproar over Johnny Depp bringing his two dogs into Australia without putting them into quarantine. It reminded of the efforts the veterinary team is doing to prevent the importation of foreign horse diseases into Canada. It seems that a large part of the preparation for the equine events at the Pan Am Games is co-ordinating the import of foreign horses to Canada for the Pan Am Games. For those who travel to the USA with their horses it isn’t a big deal, but when we are bringing horses in from the Caribbean, Central and South America and Europe there are many more restrictions in place. The veterinary organizing team has been working closely with the Canadian Food Inspection Agency (CFIA) on the import and quarantine regulations for visiting horses. You might wonder what a food inspection agency as to do with horse importation, but the name is misleading since the CFIA is responsible for regulating the import and export of all agricultural products into Canada. The challenge we face is that the USA and Canada share similar regulations for the importation of horses. Both countries are free of two disease in particular that some horses that will be competing might have. The first is Contagious Equine Metritis, a reproductive disease that causes fertility issues, and the second is Piroplasmosis, a tick borne disease that is prevalent in some part of Central and South America. Piroplasmosis can be life threatening to an acutely infected horse, but if they can survive the initial signs of infection they carry the disease but don’t show any signs of it. Like the border officials in Australia we don’t want to introduce foreign diseases into our country. Fortunately, both diseases only affect specific parts of horses, so there ability to exert themselves in competition is not putting the horse at risk health wise. 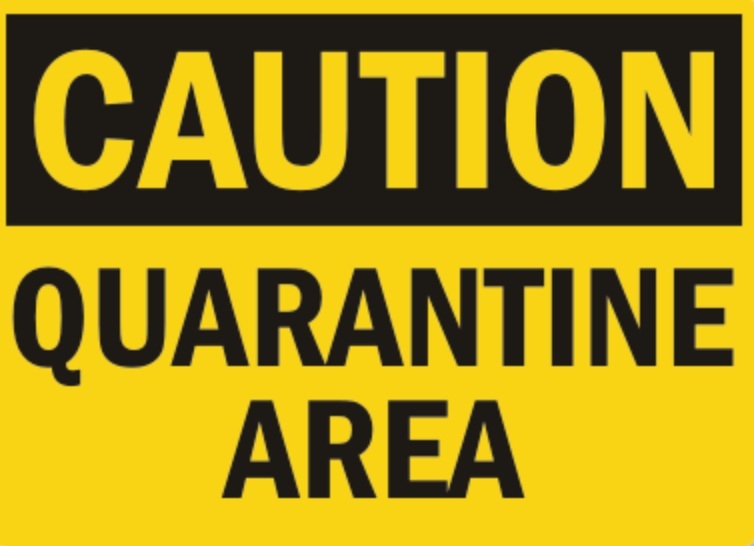 As a result of all of this the transport team that co-ordinates all of the arriving teams has been working with visiting teams to make sure arriving horses will be quarantined in the USA before arriving in Canada, or have a quarantine arranged in Canada to accommodate their arrival. On top of this the veterinary team has been working on a biosecurity manual that will instruct us on how to house the Piroplasmosis horses, how to inspect for ticks, and how to stable CEM horses so there is no risk of infecting other horses. Thankfully, these diseases are not easily transmissible to other horses, nonetheless there are processes in place to keep these diseases out of Canada. This whole process has been a great reminder of how integral veterinarians are involved in agricultural safety in Canada. It also shows how collaboration between different stakeholders is helping making these Games run as smooth as possible. Finally, it demonstrates that the global movement of horses brings manageable risks and that it is imperative that we remain vigilant to prevent the spread of foreign diseases into Canada. Johnny Depp bringing his dogs into Australia might have seemed a trivial matter, but there is much more going on than meets the eye.